There is some difference between them but does anyone know if a 2005 head can be used on a 2006. I know you can't use a 2006 on a 2005 but not sure about the other way around. Thanks. The '05 head has the air ports into the exhaust passage unlike the '06. They could be welded shut but so much work is not the easy way to go. The air injection system includes the part bolted onto the exhaust side of the head as shown. Thanks. What's the purpose of those anyway? Air is injected at start up and that heats up the cat quicker. I always wondered why my car didn't have that part bolted to the side. Thanks again. I thought I would update this thread with some information. If you have a 2006+ and want to use an earlier MY head, you need to seal up the holes on the outside of the head, but there is no advantage to welding shut the actual holes in the port. Hi, I know this thread is old now... But I was hoping you could help me out. 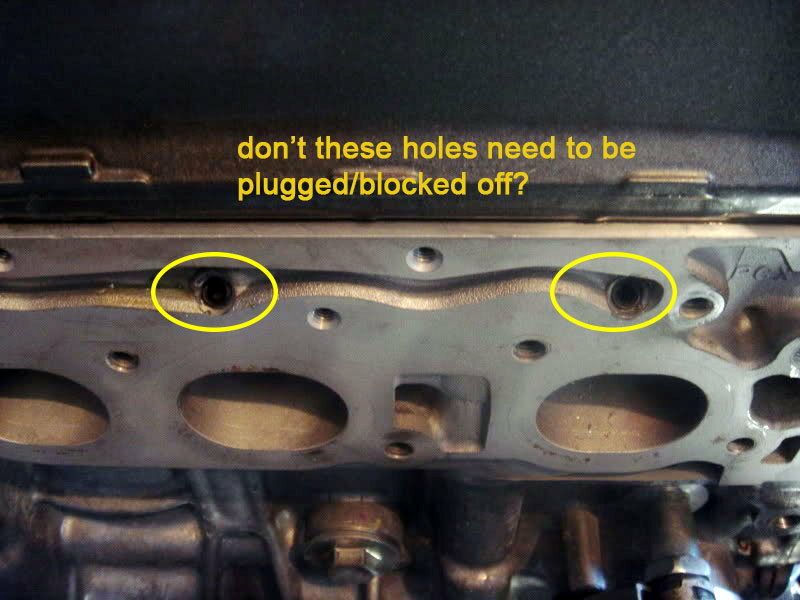 I have a 2006 S2K & my head gasket blew and warped my head & block around .002"- .003". Unfortunately, I took my head to a machine shop which used a belt sander to remove material from my head and just screwed it up. Then I took it to another machine shop to get it fixed and they screwed it up even more & now the head has had too much machined off to be useable. 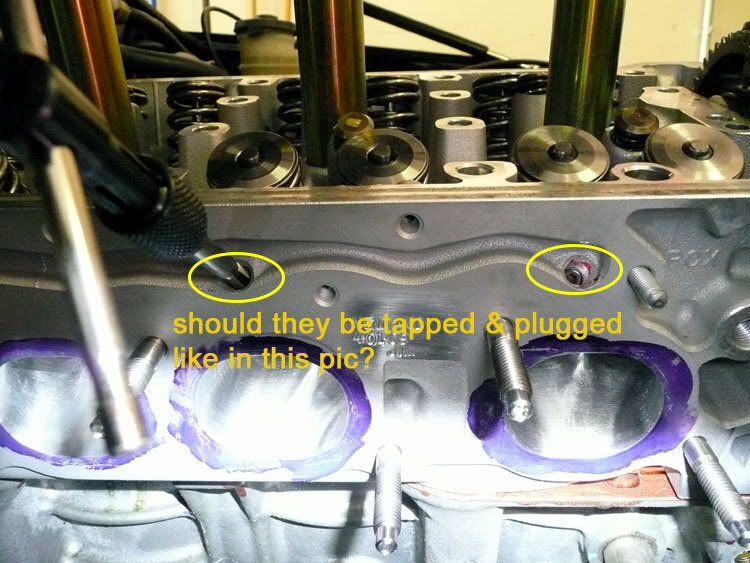 - How do you close up/plug the air pump ports in the AP1 head to work w/ a 2006 AP2 block? - Will my 2006 engine harness, intake manifold, fuel rail & all the hoses be plug & play with the AP1 head? If not, which components wont work? - Will my 2006 cams work w/ a AP1 head? - Will the 2006 ECU work fine w/ the AP1 head, considering the 2006 is a 2.2L & the AP1 was a 2.0L? - I still have my 2006 OEM valvetrain (valves, springs, retainers, guides, keepers, cams, rocker assem, cam caps, etc. ); will all this fit plug & play in an AP1 head? - Other than the AP2 retainers being a little better, is there any diff in the valvetrain between AP1 and a 2006+? Are they interchangeable? I really need some help/advice. It's next to impossible to find a head from a 2006+ so it looks like my only choice is to use an AP1. Any advice/info you can offer would be much appreciated. Thanks much. -You can plug and play the head, you dont need to block off the ports. The 06 intake manifold will do that for you. Thanks so much for the info/help Billman. The heads I'm finding aren't local, so hopefully the seller is being honest when they say they weren't overheated. The owner of the head I'm considering says it's off a 2002 (88k miles) & never was machined/overheated. 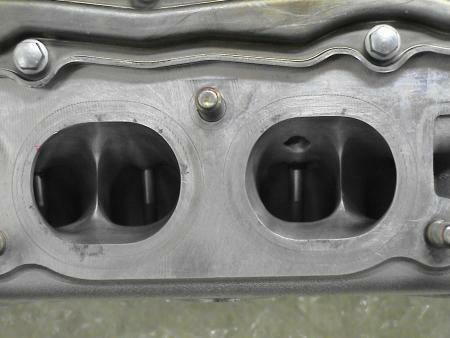 However, the head failed a leak down test on cyl 2 & 4, but had 240 compression across all cylinders when tested. I'm guessing the valve seals might be leaking; any thoughts? Is it still worth buying? Also, I'd still need to have a machine shop cut fresh valve seats & lap the valve faces correct? You mentioned that no ports need to be plugged & that the intake manifold will take care of that; but aren't the air injection/pump holes on the exhaust side of the head just above the exhaust manifold? The pic below shows what I'm referring to... Don't these need to be plugged? Sorry if this is a dumb question, I'm a noob & don't want to make a mistake on the replacement head I get. Any advice you can give is much appreciated. Thanks. should these holes be plugged on an AP1 head - they're on the exhaust side?